We’re so glad you asked! Since 1995, Buddy Walks have been held all over the country each year as a national effort to improve the lives of all people with Down syndrome. All are welcome to participate! Our fundraising goal this year is $50,000. These funds go toward providing resources to families and programs such as speech therapy camp, a swim program, and social events for adults with Down syndrome. Buddy Walk 2019 is October 26. Please join us or consider donating or sponsoring a team. Why is Buddy Walk Important? The Buddy Walk is our biggest and sometimes only fundraiser. It also really helps spread awareness. It is essential to involve as many people in our community as we can! What Does Buddy Walk Fund? 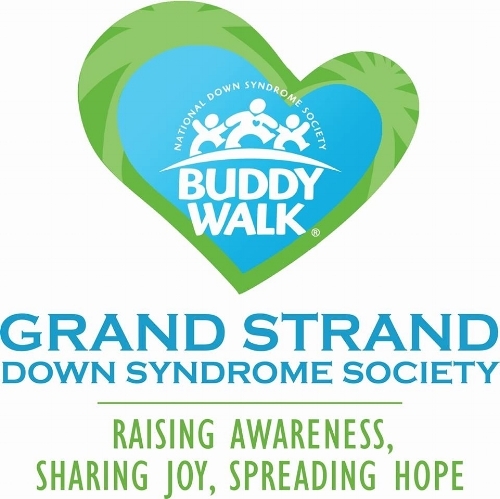 Buddy Walk funds all the major events and programs that we make available to our members and those in the community who are affected by Down Syndrome. You can view more information about our programs here. Grand Strand Down Syndrome Society accepts donations year round. If you would like to make a difference toward our mission, you may do so by clicking the Donate Now button below. We are now seeking sponsors for 2019. A HUGE THANKS TO ALL OUR 2018 BUDDY WALK SPONSORS! The Buddy Walk® was established in 1995 by the National Down Syndrome Society to celebrate Down Syndrome Awareness Month in October.